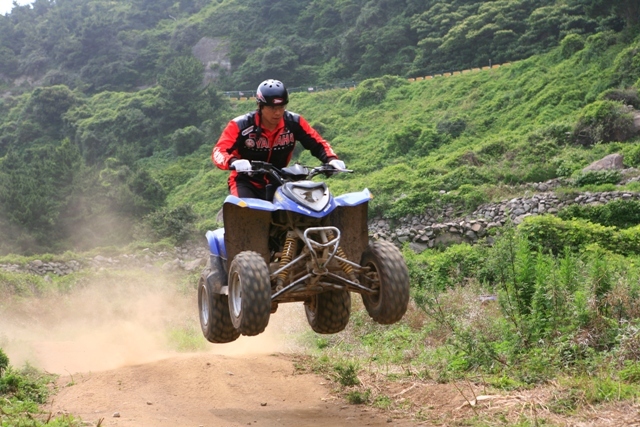 Getting Active in the Jeju OutdoorsATV's, four-wheel drive, bouncing balls, paragliding and ziplines. It has been a crazy winter but it looks like it is finally behind us and that means more and more people are going to be heading out into the Jeju countryside. If you are looking for something a bit more active then this is the best time for some running in Jeju’s woodlands or up and down the volcanic cones, or oreum. There is much more to do out there than just enjoy the view, however, with ATVs, four-wheel drive, bouncing balls, paragliding and ziplines also awaiting the dare-devils among you. We have selected some of the island’s best options for action-packed fun in the outdoors for spring. 141 Sanbang-ro, Sagye-ri, Seogwipo-siThis is a well-organized ATV spot that caters for families and adrenalin enthusiasts alike. Part of the circuit skirts the beach and there are also tracks on dunes in the shadow of the amazing Mt. Sanbangsan. With a total course length of 12km and 16 possible routes, this is a great way to experience Jeju’s countryside. You are driven around by a veteran driver who knows the terrain well for an unforgettable driving experience on the off-road Rally and Rock trial. 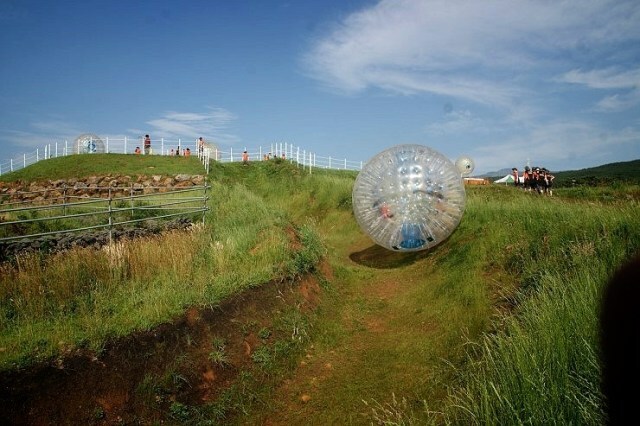 This extreme sport was invented in 1996 — predictably in New Zealand — involves being strapped inside a plastic ball with up to three friends and then being launched down a hill. You can reach up to 50km an hour and water might be thrown inside for extra fun. 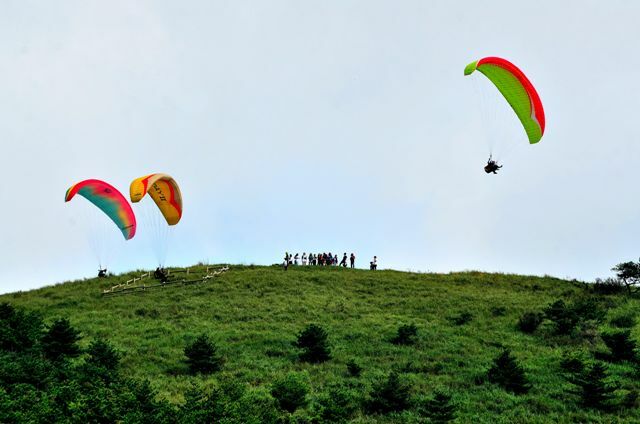 Jeju Paragliding School offers paragliding flights from local oreum for views across Jeju’s beautiful east as far as UNESCO-designated GeomunOreum. Assisted flights are most economical and allow you to enjoy the ride to its fullest without fear of accident. “Ecotainment” is one of Daheeyeon’s key attractions and visitors can zipline along four routes of around 1km length each across the beautiful grounds. You can travel across the green tea fields themselves, across the pond, through the cedar forest, or enjoy a seascape horizon.